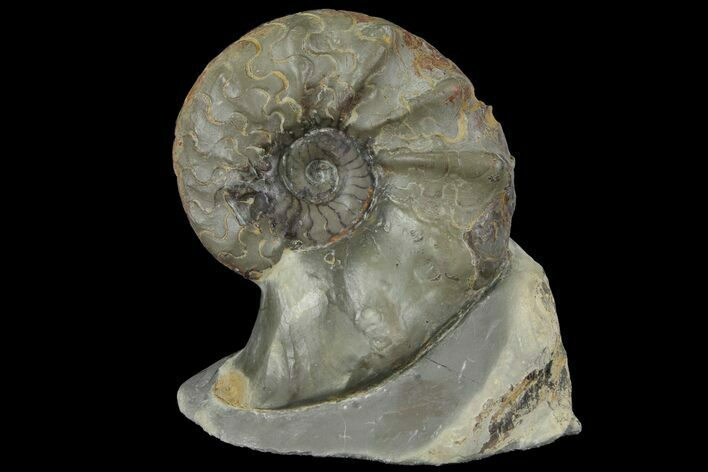 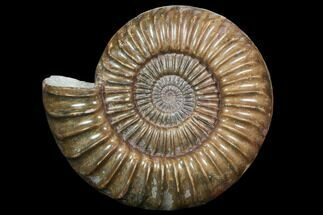 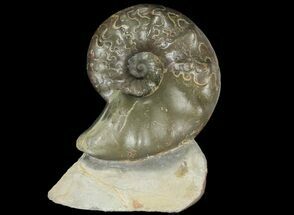 This is an unusual, Middle Triassic ammonite (Ceratites sublaevigatus) from the Muschelkalk Formation in Germany. 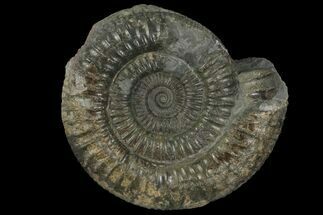 It's very 3D and has been nicely prepared in the rock that it was found in. 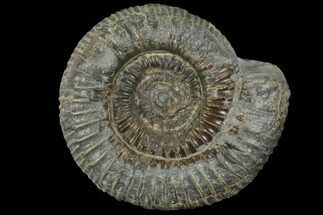 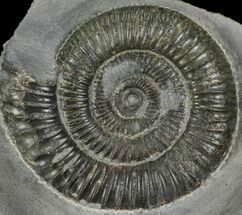 The base of the rock has been cut flat to allow for aesthetic presentation of the ammonite.